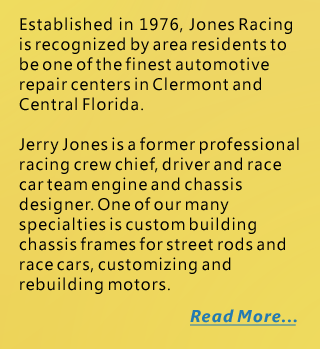 Jones Racing is the Clermont auto repair center of choice for many local residents. We invite you to bring your car or truck to us whenever you need work done on it. We service and repair all makes of vehicles, foreign and domestic. Just as important, we charge affordable rates and guarantee our work. 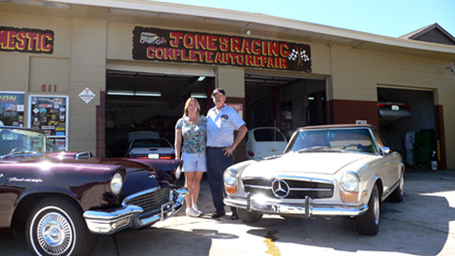 At Jones Racing, we do complete automotive repairs and specialize in computer diagnostics and troubleshooting.